Now that we're past the oppressiveness of summer heat and the State Fair and its terrifyingly odd fried foods are behind us, it's time for festival season in Kentucky. This weekend is a great one for everyone! The 21st Annual Kentucky Bourbon Festival. That's right. If the festival were a person, it would get to legally enjoy its namesake. 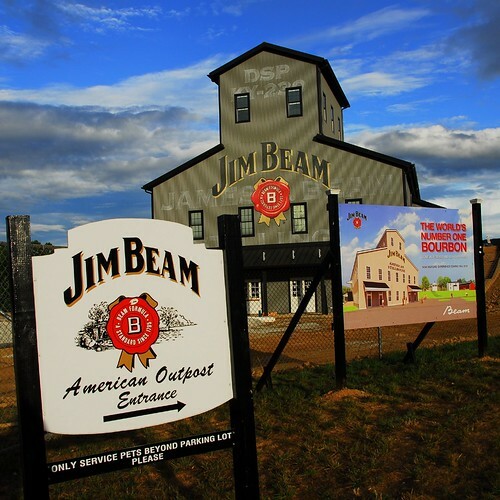 Held every year in Bardstown, Kentucky, the Bourbon Festival celebrates Kentucky's native spirit with events like a barrel-making demonstration, a balloon glow, tours of historic Bardstown, a free country music concert, bourbon tastings and countless other events. You can see the entire list at http://www.kybourbonfestival.com/events.html. When my husband and I first started dating, before I was employed in the spirits industry, we made a trip to the Bourbon Festival. I'm not a bourbon drinker, a bad experience in college ruined me on it. However, I love history and am interested in how things are made, so the festival offered lots of things for me to enjoy. For my husband, it was pretty close to the best thing ever. He loves bourbon. He has strong opinions about how it should be enjoyed. While my favorite booths were ones where the exhibitors showed how pioneers made bourbon, his favorite place was the tasting booth. You guys. Even I, a non-bourbon drinker relegated to drinking the only beer on hand (Bud Light), was impressed by the bourbon tasting booth. 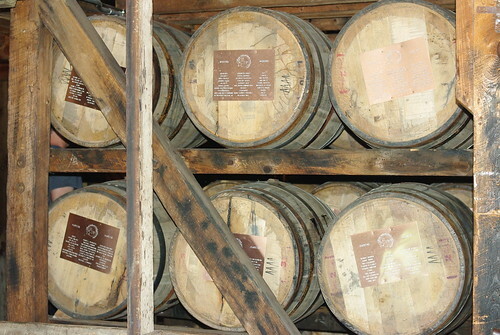 Admission offered to adults only (of course), nearly every single bourbon produced in Kentucky is featured. When we attended, the procedure was to buy tickets. Then, those tickets could be redeemed for tasting samples of your choice of bourbon. Of course, the "price" of tastings varied. My husband took this opportunity to taste bourbon varieties that he'd never had before or that were out of his price range at the liquor store. He tasted a variety including the coveted and hard-to-find Pappy Van Winkle 23-year old bourbon. He was in heaven! You've got until Sunday to visit the Bourbon Festival in Bardstown. Many events and demonstrations are free. Some require advance tickets or payment for entry. Check out the festival's website for more information. From someone whose livelihood currently depends on our state's signature spirit, thanks for supporting the industry! Please drink responsibly and designate a sober driver. In "bardstown", "bourbon", "fall festivals", "festivals"
Fall means festivals. School festivals. Church festivals. Festivals celebrating old wars. Festivals celebrating shrimp. Paducah is no different. Fall brings street carnivals and fairs of one kind or another but the biggest one of all is Barbecue on the River. We already know Western Kentucky knows barbecue. Seventeen years ago, the organizers decided to capitalize on that passion and create Western Kentucky's answer to Memphis in May while raising lots and lots of money for charity. Every booth is hosted by a charity around Paducah who then brings in the barbecue experts to smoke up the meet and hopefully win a trophy in the competition. All the festival goers benefit from the competition as we feed our faces with the best in smoked pork and chicken. The charity's benefit by keeping the proceeds to benefit their organization! Over the course of three days, more than 30,000 people flood (no pun intended) the riverfront to take in the live music and food as well as the "Old Market Days." Barbecue on the River didn't started until I was in high school. So, while it is a highlight of my year now, I don't have any happy memories of gobbling down barbecue at the festival as a child. In a way, I feel like that is a testament to the event that it has grown so quickly to become an essential outing as the seasons begin to change. I look forward to Barbecue on the River every year because it reminds me of all the ways Paducah grew and changed in the ten years I was gone and of all the new memories I have to create with my own children in the falls to come. In "barbecue on the river", "fall festivals", "paducah"